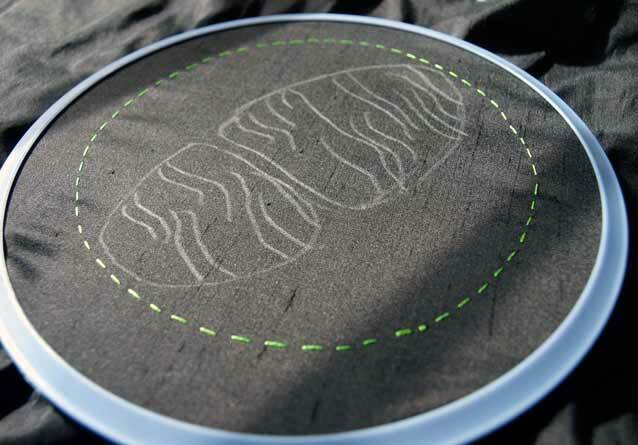 This week I sketched out the initial design for the Paths of Dreams embroidery. I like the fact that Dr Adam Hamlin's original image is roughly in the shape of a footprint, giving a double meaning to the word "paths" in the title. It's as though the neural pathways of the dream are also a figurative path into the unconscious. Is that a bit Freudian for a Friday?